Loved and respected for her outstanding talent and the way she plays her characters, Paula Malcomson is a Northern Irish actress. The prolific entertainer started on a low-key, picking up small roles in theatres and films before she caught the right attention and the major roles started coming her way. The role that prompted her to prominence was the one she played in The Green Mile. Her career began in the early 1990s and looking at her film and television cache, it’s clear her foray into acting was a step in the right direction. Popular among her numerous films and TV shows is her role as Abby in the Showtime crime drama series Ray Donovan where she pulled a sea of fans who were heartbroken when she took a bow on the show. 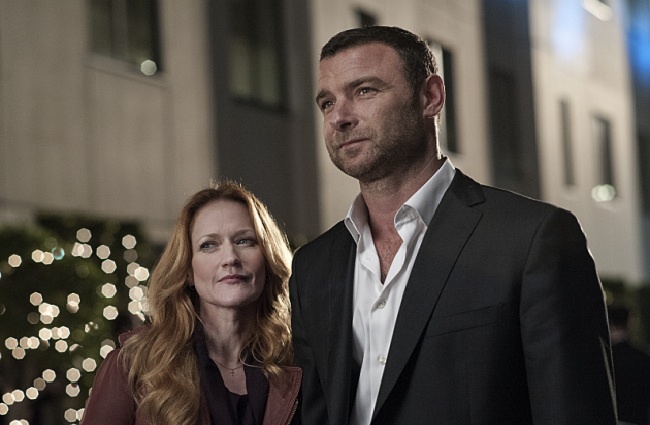 Why did she have to leave Ray Donovan when she was doing quite a good job portraying the long-suffering wife of the titular character? Let’s enlighten you here. On the 1st of June 1970, Paula was born in the city of Belfast, United Kingdom. She grew up there until when she was 15, after which she left her home to explore Europe. After going to different places, she settled in New York’s East Village in 1991. She is often called Paula Williams but every other detail about her family and background has remained hidden from the public eye. Also, she has not shared any information regarding the schools she attended and how far she went with her education. It is, however, known that she started her professional acting career in 1992. Paula Malcomson started from scratch to grow her career. She appeared in theatre productions before she was discovered and given her first film role in 1992 – starring as a bartender in Another Girl Another Planet. The next year, she was seen as Allie Earp in Tombstone but her next film role came in 1996 when she was cast in Dunston Checks In. 1998 saw her grab two film roles in Trance and The Rocking Horse Winner. The end of the ’90s brought more good tidings for Paula with her role in a box office hit, the 1999 fantasy crime drama film The Green Mile where she appeared as Marjorie Detterick. She started the 2000s with a role in drama film Hamlet. Between 2003 and 2009, Paula Malcomson appeared in six short films – Quintessence (2003), June & Orlando (2003) The Death Strip (2007) Nonplussed (2007), A Woman in the West (2008) and Morning After (2009). Paula Malcomson graced the cast of The Hunger Games, playing the role of Mrs. Everdeen in the film series from 2012 to 2015. In 2017, Paula played significant roles in various films including A Christmas Star, All Summers End, Axis, Feed, The Cured and Battlecreek. Her last notable film appearance was in the 2018 project – We Have Always Lived In the Castle. On her list of television appearances, there is no scarcity of top shows. Her first TV role was in 1999 – Profiler, where she appeared in one episode. The next year, she joined The Practice cast in one episode. She continued on her one-episode streak in shows like Strong Medicine, UC: Undercover, Star Trek: Enterprise, NYPD Blue, Six Feet Under, until in 2004 when she got 36 episodes in Deadwood. She then appeared in a few more minor roles in hit series like Lost, Criminal Minds, ER, John from Cincinnati, Law & Order: Special Victims Unit, CSI: Crime Scene Investigation, Caprica, Sons of Anarchy, Private Practice, Fringe, Law & Order: LA, among many others. Her biggest project came in 2013 when she was cast as Abby Donovan in Ray Donovan. The role endured for 59 episodes and ended in 2017. Since then, Paula has not landed such a significant role again. From 2017 to date, she played roles in shows like Broken, Krypton, Come Home, Lore and Law & Order: Special Victims Unit. Paula Malcomson’s performances in Deadwood and Ray Donovan earned her nominations for a Screen Actors Guild Awards and Irish Film and Television Awards. During the fifth season of the Showtime drama series, Paula’s character – Abby Donovan had to be written off to enable her to make an exit on the show. Bidding farewell to unamused fans, Paula explained that she needed to create space for other endeavors and since her character on the show was becoming a huge part of her, it had to give. This means Paula Malcomson left Ray Donovan without any controversies, totally on amicable grounds and she was not fired.